Can we just hang in the shade? So there have been numerous articles published in the local newspaper to let us know that the dog days of summer are here. Oh, really? Someone needed the newspaper to tell them that it is ridiculously hot? Umm, any equestrian could have told you that weeks ago. We have our own ways of knowing it is hotter than Hades outside with a dose of subtropical humidity to make it more insufferable. You are on your third change of clothes and it is only 10 AM. The sweatband in your helmet is so saturated that the sweat just runs into your eyes and blinds you. 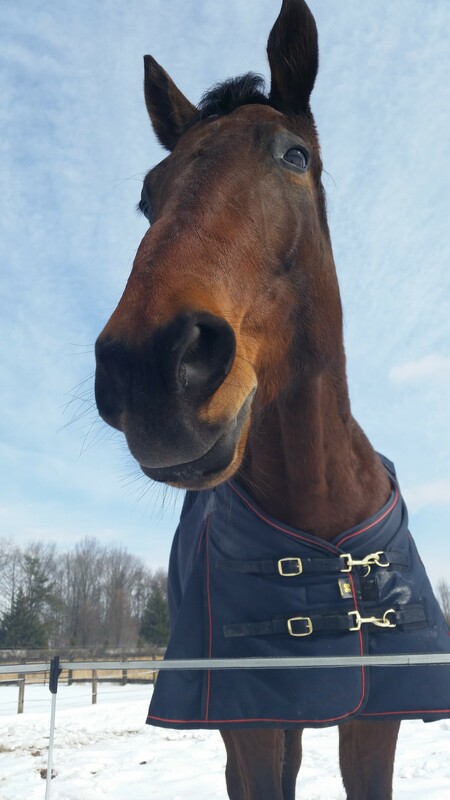 Thankfully your horse is smart enough not to run into your trainer. They postpone a horse show for the safety of horses and riders. You sweat through your gloves and can no longer half halt efficiently since the reins are sliding through your fingers. 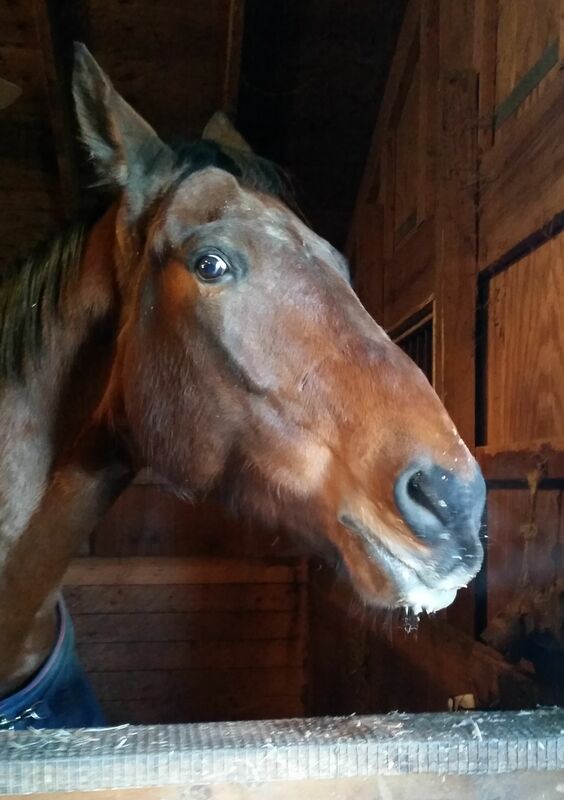 Your horse is soaking wet even before you start grooming and tacking for your ride. You dread stopping somewhere on the way home from the barn for fear someone will surreptitiously take a photo of you and mistake you for a Pokémon character. A bug flies into your face and sticks to the sweat. Hey, at least it didn’t fly into your mouth this time. You remove your clothing off like a banana peel. Raise your hand if you have had a wrestling match and a few choice words with the sweaty sports bra that really doesn’t want to part ways. It feels like you are squishing when you walk, but it is just the sweat pooled in your black leather boots. You accidentally hit yourself in the face with your horse’s sweaty saddle pad. Bleh, that doesn’t taste so good. You seriously debate the merits of riding up and down the barn aisle rather than braving the sun. You place your helmet on your head and sweat from the day before drips onto your head. Your clothes are wetter going into the washer than when they go into the dryer. You use the word “moist” a lot in conversation and you have not baked anything since the holidays. You Google “places with cooler summer temperatures” but then realize that your 18 hand dressage horse will be a bit out-of-place at that dude ranch in Banff, Canada. Well, it is just about here…our Second Level debut. To say that I am excited about it would be an understatement. 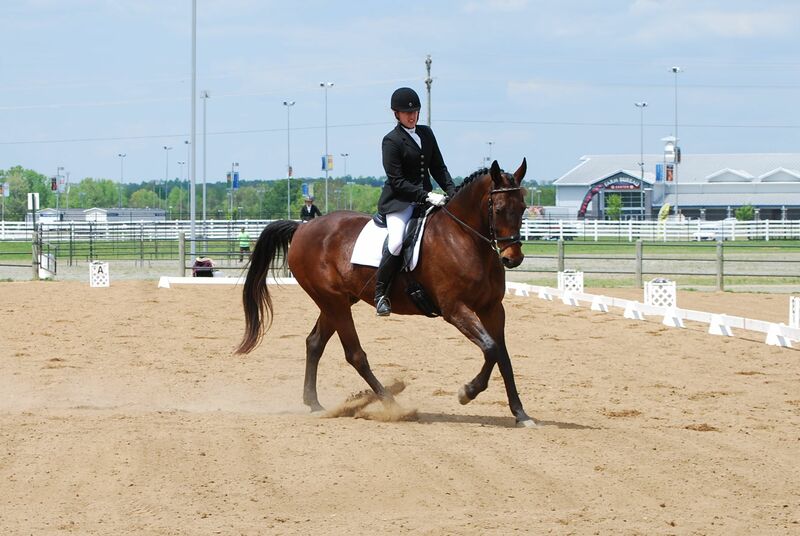 It has only taken me 10 years to finally get to this point in my dressage journey. Yes, that is not a typo – 10 years. Go ahead and make fun if you must, but I believe that all things and events come into our lives when we are ready for them. My first years of dressage training were a challenge since 1) I had no clue what a half halt was, and then 2) once I did, I had a horse who thumbed his nose at the concept. God bless Ms. C for her patience with the two of us. How challenging it must be to try to teach a concept to a student with a horse that fought every step of the way. No wonder progress moved slower than a snail’s pace. Cigar and I were at odds for 6 years before his knee fracture forced his retirement. If I wanted to get to Second Level sooner, an experienced mount would have been a wise option when shopping for Cigar’s replacement…but those experienced horses were well outside my budget and unfortunately, no one was offering to syndicate a horse for me. Buying a green horse was my best and only option. All I could do was hope that my two test rides on Ike were a good indication that we could form a partnership. Thus far, I have been very fortunate with my green horse gamble. Ike has very few foibles under saddle and truly does try his best to understand what we ask him to do. I still clearly recall that steering was optional at the canter and that I nearly lost a knee cap on more than one occasion. There was no half halting of the outside rein to stop the outward spiral towards the fence. The inside rein and a prayer were all I had some days. Poor Ike also had to finish growing before he could finally operate all body parts in a synchronous way. Truth be told, I didn’t think he was ever going to stop growing! Thankfully, it appears that he has finally reached maximum height and length. And, if I am being completely honest, I needed to learn some new skills before we were ready to move beyond First Level. Moving to Second is like jumping from elementary school to graduate school in one leap. You can muddle through Training and First Levels with a basic knowledge of dressage, but you had better put on your big kid boots after that. Yikes! The sh#% gets real…real collection, real medium gaits, real transitions in and out of those medium gaits, 10 meter canter circles, simple changes…there is no way you can fake your way through a Second Level test. I think I can finally identify a collected trot versus a short, choppy trot. I can finally ask for a simple change and get it most of the time. I can finally position my horse in a correct shoulder in rather than a “neck in.” It just took me a little longer since we were also teaching Ike at the same time. Again, I think I got very lucky when I picked Ike. Not every horse is so tolerant of learning new skills from a green rider. So here we are, just a few months shy of our 4 year “gotcha day” and we are preparing for our first centerline at collected trot. Hoping for the best and trying to remember to breathe.